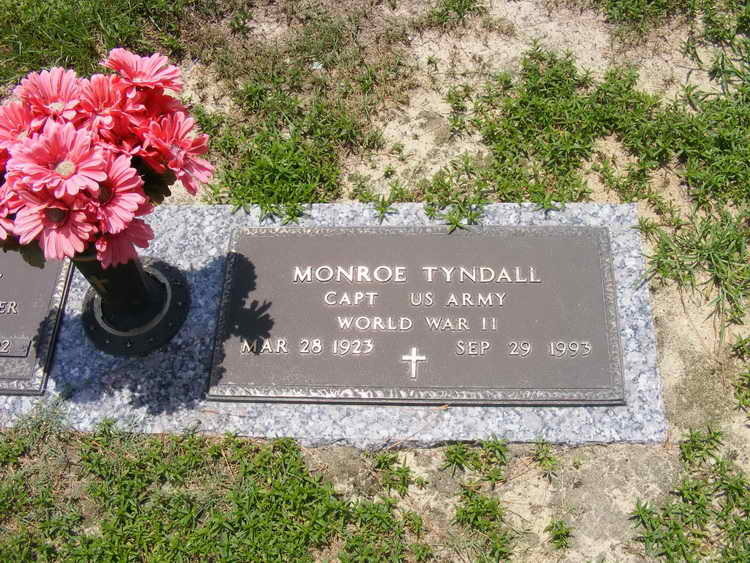 Draft card and grave marker for Monroe Tyndall in Hillcrest Cemetery, Conway (Horry county), South Carolina. Monroe enlisted in the Army at Camp Croft, SC on 10 October 1942. 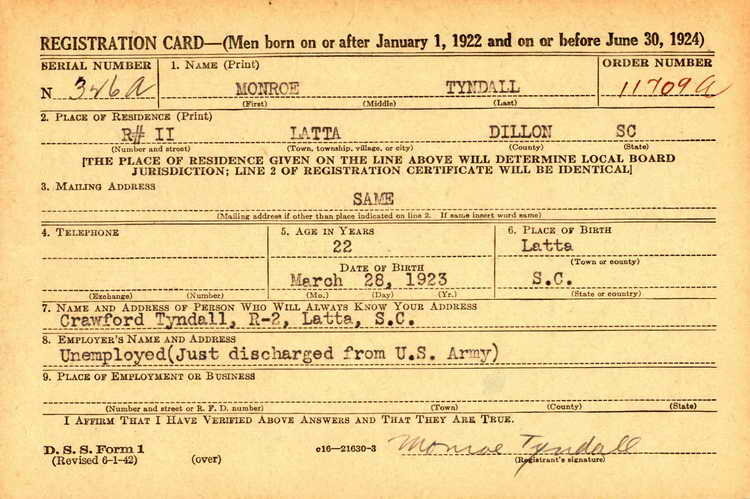 Pvt Tyndall, a member of Company B, 508th PIR was promoted to T/5 on 5 March 1943. He held that rank throughout WWII. Six months later he was as a 2nd Lt and a member of the Army Reserve 414th Transportation Company, Charleston Transportation Depot, North Charleston, SC. Based on his grave marker inscription he achieved the grade of Captain.